After strong Rauli - storm on Saturday paddling continued to Lappeenranta. The whole Saturday was spent in Puumala listening the howling wind, which was pretty strong. It must have been at least 15 m/s in the evening. We were staying at Puumala camping and visited town on afternoon. 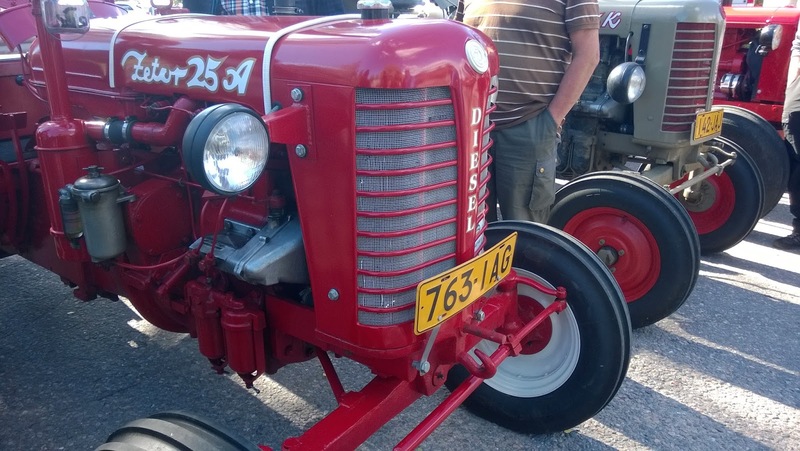 There were dozens of old tractors gathered on a local square and after awhile they drove through the town on this event, which is organized every year. The storm passed during the night and wind was moderate 6-7 m/s from north-west in the morning. This direction of the wind was optimal for us, because we were paddling to south-east or south whole day. It was much colder than yesterday due to change of direction of the wind. The first leg was roughly 30 km to Kutvele,where we planned to have a lunch break. After Kutvele - channel we landed on a beach, which was on a shelter from the wind. Sun was shining practically throughout the day. When crossing Suur-Saimaa after Kutvele,waves were moderate, but still rather easy to paddle. 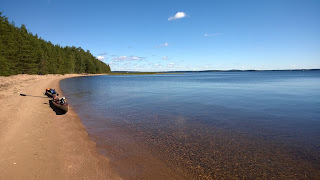 The last 15 km felt endless, but finally we reached Lappeenranta and the beach of Myllysaari, which was the ending spot for Vuoksennauha-paddling. After 10,5 hours paddling at 18:50 we had paddled 429 km from Nurmes to Lappeenranta. The paddling route of the ninth day can be seen here.